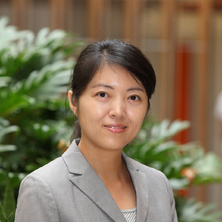 Dr. Xin (Joyce) Yu is a Senior Lecturer in UQ Business School. She received her PhD degree from The Chinese University of Hong Kong and BA from Fudan University. Her research interests are corporate governance, family business, and accounting disclosure and her publications have appeared in various journals including Financial Management, Journal of Business, Finance & Accounting, British Accounting Review, Accounting and Finance, and Pacific-Basin Finance Journal. Dr. Yu's teaching specialism is in financial accounting. Biscontri, Robert G., Chen, Gongmeng, Rui, Oliver and Yu, Xin (2011) An empirical study on predicting the financial distress of unlisted firms: evidence from China. International Journal of Management Accounting Research, 1 1: 75-93.